With compassionate intensity and great heart, Brian Shawver, in his powerful debut novel, tells the story of Dennis Birch, a 34-year old failed major league ball player turned minor league scout whose field of dreams has always been baseball. No longer a candidate for baseball greatness himself—if he ever was—Dennis accepts the challenge of smuggling a hot right-handed pitcher out of Cuba in the hope that promoting the greatness of another will somehow confer a small, manageable portion of it on himself. Birch’s innocent belief in the rightness of his mission blinds him to some of the realities of it, and what seems at first to be a straight road to glory and his name on a plaque in Cooperstown, leads him into dangerous, sordid, and morally complex waters. As becomes excruciatingly clear, Fidel Castro’s Cuba is much further from the Florida Keys than the miles marked on a map. 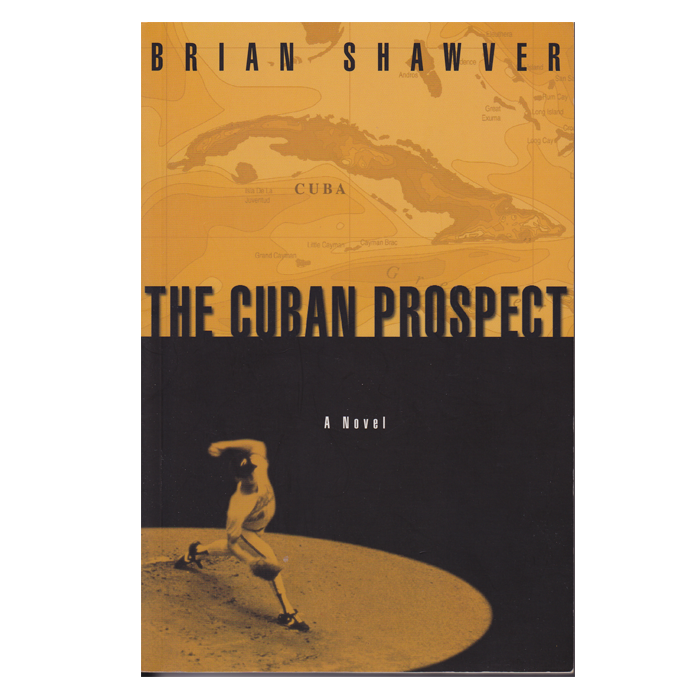 A novel of last-ditch hopes, destiny’s curve balls, and quiet redemption, The Cuban Prospect gloriously projects a harrowing, yet affirming vision. Deeply felt and compelling… informed with a moral passion not so often found today. The game of baseball is convincingly used as the background for games of a more terrible kind. A nervy debut… of madcap and morality… a ‘Heart of Darkness’ set in the bowels of the major-league farm system. Dennis Birch never made it to major-league baseball. Now he scours the Mexican minors, verifying the bona fides of local phenoms. 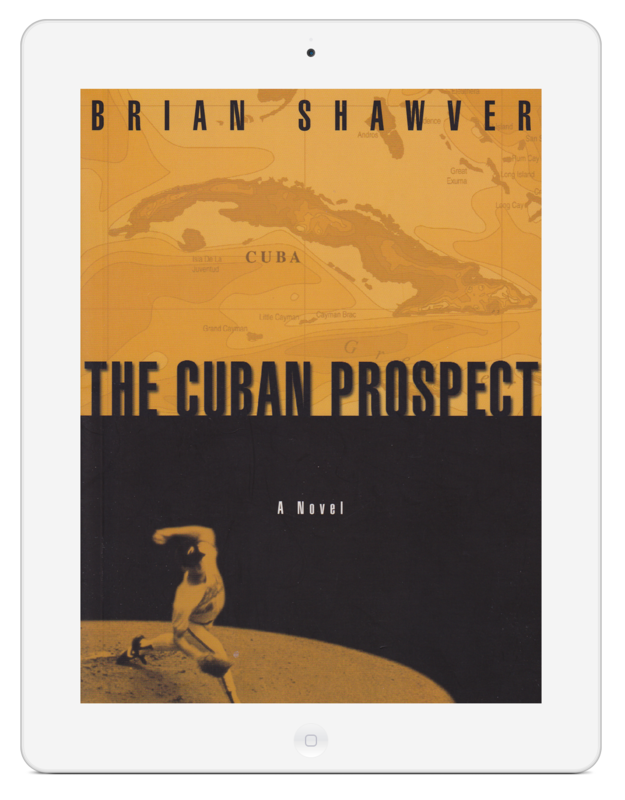 A last chance for baseball immortality comes his way when he’s assigned to smuggle a promising Cuban pitcher across the Caribbean to the Florida Keys. His major-league employer puts him in touch with Charles Dancer, its unofficial representative in rural Cuba. Dancer, who seems to model himself physically and ethically after Sydney Greenstreet in The Maltese Falcon, fills Birch in on a poorly formed plan to smuggle Ramon Diego Sagasta out of Cuba and into the U.S., where fame and riches await him. Unfortunately, Birch and Sagasta are stymied at every turn by bandits, corrupt officials, and their own foolishness. Even as he forges ahead, Birch comes to understand that greatness, even reflected, is not a quality to which he can aspire. First-novelist Shawver writes with sad passion about small lives swirling aimlessly in search of external verification when perhaps an inward glance is all that’s needed.